For chess-players of all ages and abilities, it is vital to get off to a good start. This simple guide provides all the tips and ideas needed to play purposefully from move one. That's because these 50 Mighty Openings are the very ones used by chess masters and grandmasters to outwit opponents time and again. 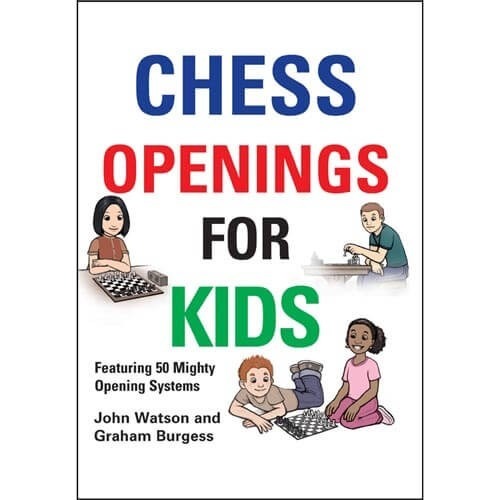 This book teaches the names and starting moves of all the main chess openings, and explains the basic ideas. Beginners will learn how to position their pieces for maximum impact. More experienced players will discover some remarkable tactical and strategic themes that are vital for chess mastery. Throughout the book, numerous devastating opening traps are highlighted. You will have fun posing difficult problems for your opponent - whether a friend, a chess-club rival or your Dad!